Fieldwork gear – Do you have what you need? In a nutshell, here are some examples of gear that most of us need in the field. Remember to take your camera with you, everywhere! It is important to record your memories in a notebook format, but taking pictures is a fun and easy way to visually capture fieldwork sites, plant specimens, and any memory that you may want to share with your friends and family! Depending on your needs and interests, you may want to look into more advanced camera with macro or wide angle lenses for example. Make sure to bring enough memory cards and protect your gear from the rain! There are different types of water containers such as Nalgene plastic jars and Klean Kanteen. Nalgene plastic jars are available in two types of plastics. One is flexible but the taste of the liquid stored will be affected and it will taste like plastic. The other type is harder and doesn’t have the same taste issue but is more brittle. If you don’t want to deal with plastic, you can go for Klean Kanteen. The water bottles are made of high quality, stainless steel. GPS devices come in a variety of sizes and prices. Many seem to rely on Garmin, but there are other brands that can comply with your specific needs. 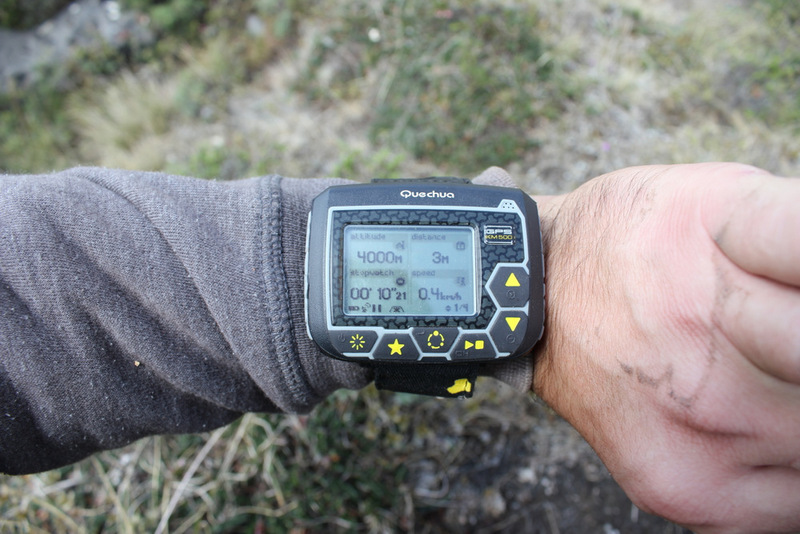 For Europeans, Decathlon provides a variety of GPS devices for an affordable price (I bought a watch-shaped GPS for my fieldwork and found it very convenient and well made). A GPS device equiped with an external antenna will make the difference in forests. Also, make sure your model has a computer interface. 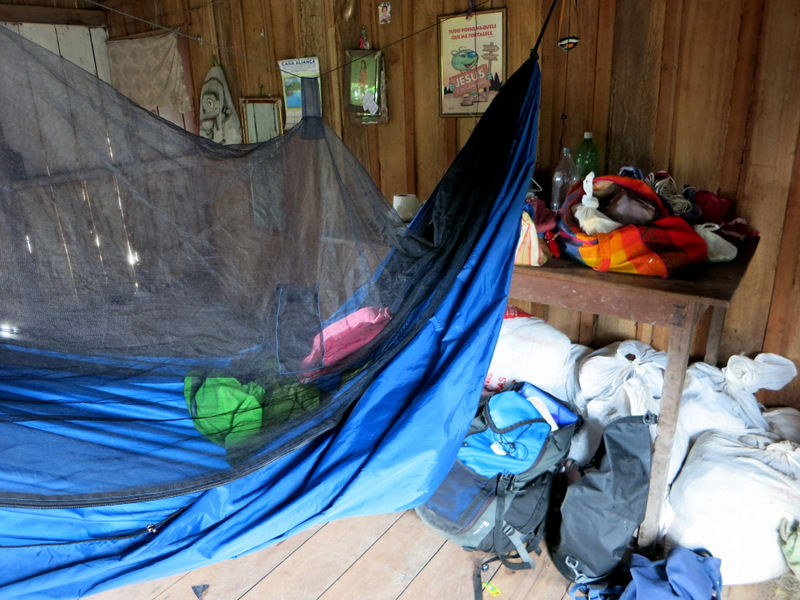 mosquito net, and for longer stays you may want to consider hand-woven hammock with a separate mosquito net. A light blanket or sleeping back will be useful during cooler nights. There is a variety of options available in terms of flashlights. The small and waterproof Mag-Lite flashlights are very handy, but make sure to bring extra halogen bulbs and don’t choose a black colored one or you will likely loose it in the dark! The hand-powered magneto and dynamo flashlights do not require batteries but have a magnet, so you will want to keep it away from your computer! Candles are another option, and they can be useful to chase mosquitoes! But there is much more to know about this section so make sure to read the extensive discussion on flashlights and illumination here! It is very useful to have a backpack with a small compartment where you can store small items. Considering waterproof bags can come very handy when travelling in tropical forests or when canoeing! Have a look at Ortlieb waterproof pack! For serious field photographers, the “Orion Trekker” by LowePro is a good option to safely and efficiently storing photography equipment. Concerning plant presses, you can choose to visit the Herbarium Supply (www.herbariumsupply.com) to have a look at their portable presses (seriously don’t carry the press like that — I smile but it hurts!). AND the recommendations of use. Customs sometimes ask for them! • Rope to use as a clothesline or for other purposes. in the water and will last the whole day without reapplication. • Sunglasses (in Europe, make sure you have the UE label. Favor categories 2 and 3). • Sunhat (better than a baseball cap). and shampoo, among other purposes. • Baby wipes or handkerchief. • Trash bags to secure your stuff in the rain. • Sewing kit to fix holes in hammocks, mosquito nets. • Synthetic towels (Europe: ‘serviette polaire’, Decathlon). 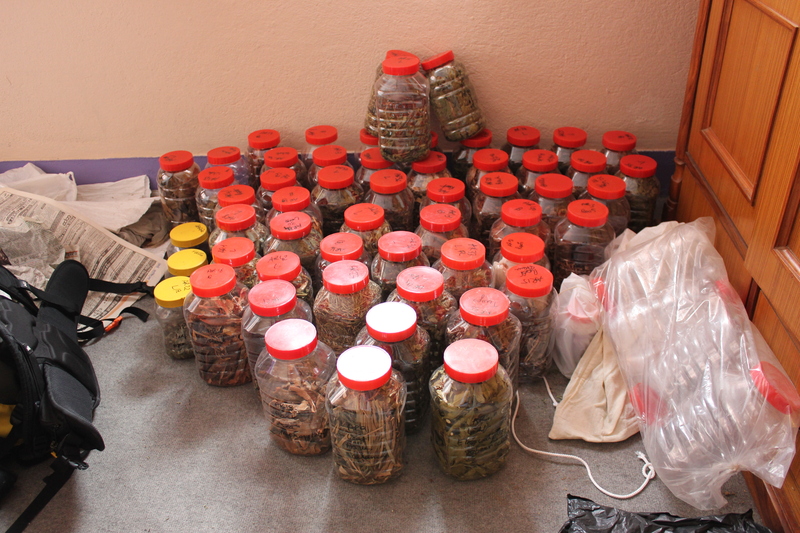 • A stash of nuts or energy bars can be useful to have as a backup food supply. Very thorough and informative! Thanks for the post.